Finance is the lifeblood of every business and the key determining factor of success in the overly-competitive modern business world. 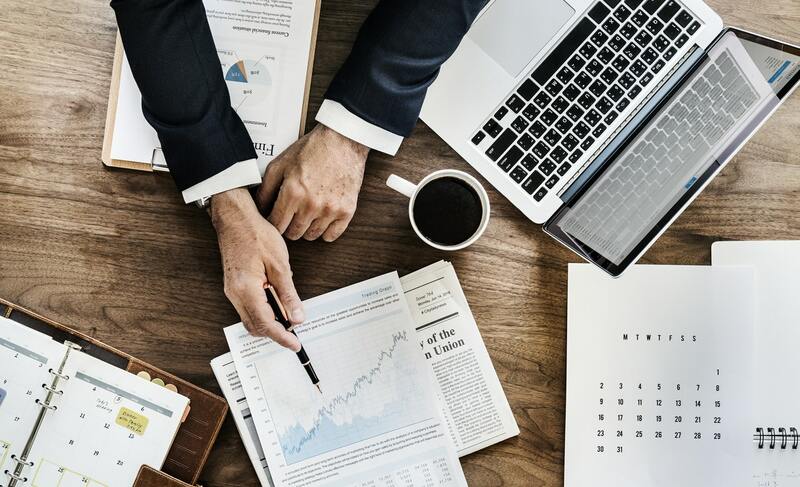 With that in mind, it’s safe to say that the primary way to grow a startup or keep a small business afloat throughout the year is through meticulous financial planning and strategizing. However, you can’t always predict or prepare for all of the hurdles and challenges on the road to long-term prosperity. Sometimes, tough financial times are going to put a dent in your budget, and might even jeopardize your entire operation. Here to help your business sail back into safe financial waters are the five steps to steer your company through dark financial times. When the going gets tough, the first thing a management team needs to do is to go back to the drawing board. The worst course of action, on the other hand, would be to allow panic to dictate your decision-making process and incentivize you to make a decision you would later regret. Instead, make sure you first address your initial financial plan. This comprehensive document will be able to tell you exactly what went wrong, and why the tactics you initially laid out failed to bear the right fruit. Redefining core financial strategies is the hallmark of a flexible business, and it gives you a tangible chance of survival. By scrutinizing your financial strategy, you will be able to forecast with accuracy and efficiency, and come back to the game with a sound battle plan. Be sure to combine your internal findings with meticulous market research in order to define the best steps going forward. Operating expenses are your most important expenses, especially during a tough financial time. Therefore, your next course of action is to get your cash flow in order and resume normal operations across the board, preferably without immediate or long-term consequences for you, your staff, or your brand. It might seem like a cumbersome task, but there are ways you can improve your cash flow no matter the situation. Firstly, consider other sources of financing. Look into debtor finance in order to eliminate unpaid invoices and get the cash you’re owed even if your clients are unable to pay. Next, reduce your business’s overheads and optimize payroll expenses by employing on a per-project basis, and even remote workers such as freelancers. Lastly, be smart about your marketing expenses and budget accordingly. Sometimes, a business owner needs to sacrifice their own paycheck for the good of the company. The most important thing is to keep the company afloat and get it out of its financial difficulties, but that doesn’t mean that you should risk your own livelihood to achieve this goal. By all means, go ahead and renounce your paycheck for the good of the company, but be sure to have a backup plan in the form of reliable online loans that will help you preserve your financial standing. One of the biggest mistakes business leaders make is sacrificing themselves for the good of the company without building a financial foundation they can lean on – you mustn’t allow this to happen to you, as there is no telling when the company will get back on its feet. Instead of waiting months for this to happen, be sure to secure your personal finances and only then redirect your paycheck towards brand improvement and progress. Another important thing to remember is that you are not alone. After all, the modern business world is filled to the brim with opportunities for growth, you only need to seize them at the right moment. Some opportunities require careful planning and preparation to come to life, such as the prospect of external financial aid or strategic partnerships. If you are ready to partner up with another notable brand or personality in the industry, then it’s best to do it at a moment when this partnership can help you get the business back on its feet. While they might not have much to offer in terms of finances at the moment, an experienced investor or partner will be able to recognize your unique strengths as well as the traits that make your brand stand out. Lastly, a surefire way to let your financial difficulties consume you is to stop innovating. Innovation is the key differentiating factor between successful and marginal businesses, and although it might be an expensive process, it is nonetheless essential for your survival. To keep the innovation process alive and improve across the board, you will need to allocate your available finances carefully and address your pain points first. Instead of damage control, for instance, or trying to refinance failed processes, focus on redefining your services altogether in order to come back stronger and give your clients what they were searching for in the first place. Rarely will you see a company sail through the murky waters of the business world without encountering a financial obstacle here and there, so rest assured that there is always a way to come back from the brink. With these effective tips in mind, you should have no problem getting your business through tough financial times and paving the road to a prosperous future.